A recent study of telehealth services conducted by WILLCARE examined the effectiveness of using telehealth to monitor the vital signs of patients living at home whom have been diagnosed with congestive heart failure, diabetes or chronic obstructive pulmonary disease. The three-month study found a number of positive outcomes – participants experienced significant improvements in overall health and their functional capabilities, the patients number of hospital visits decreased by more than a third, and if participants were admitted to the hospital their length of stay was measurably less compared to previous stays. Also, many of the study’s participants reported a high comfort level with the monitoring equipment and many of them said that they gained peace of mind and an increased feeling of security. 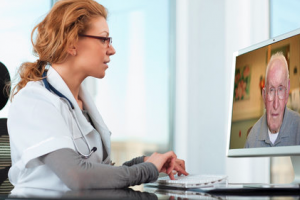 The report also notes the effectiveness of telehealth technology in providing safe, reliable, and remote patient monitoring and consultation. Visit our Healthcare Solutions page for more details on Trinity’s Mobile Telemedicine Station Mobile Responder Kit, which is ideal for homehealth applications. Or, contact us today at1-800-261-9008 to schedule a demonstration at your location or at our Louisville, Kentucky or Sterling, Virginia offices.